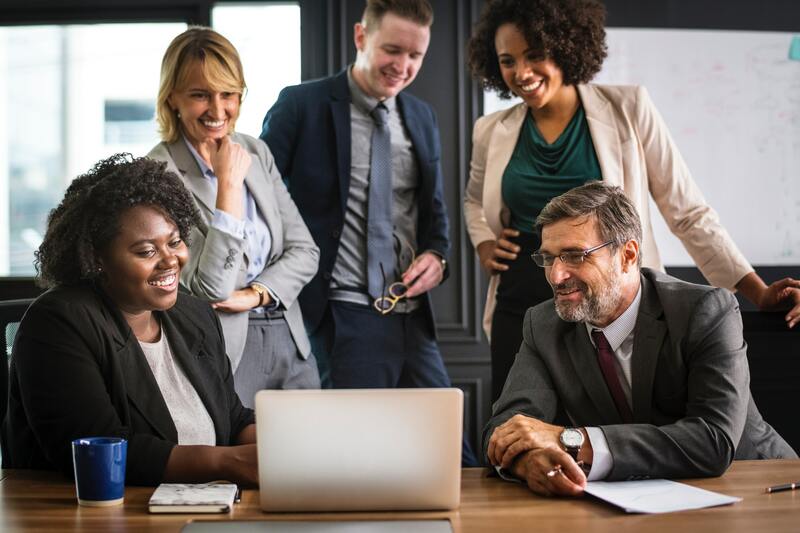 Great staff are critical to our success as business owners and managers but, as our recent survey found, finding and keeping the right people is an ongoing challenge for many businesses. One-third of our survey respondents indicated the biggest challenge impacting their business in the past six months had been 'finding and retaining good employees'. Unfortunately we can't conjure appropriately trained staff out of the air for our clients and subscribers, but we can provide advice to make the recruitment process as successful as possible. The following cheat sheet contains our 7 'golden rules' for successful hiring. High staff turnover and poor employee retention and engagement have multiple negative impacts on a business – morale, productivity, financial performance and business value can all suffer. identify the non-negotiable critical attributes or strengths needed in potential candidates. Once those tasks are ticked off you can get down to the job of interviewing, selecting and helping your new employee settle in. 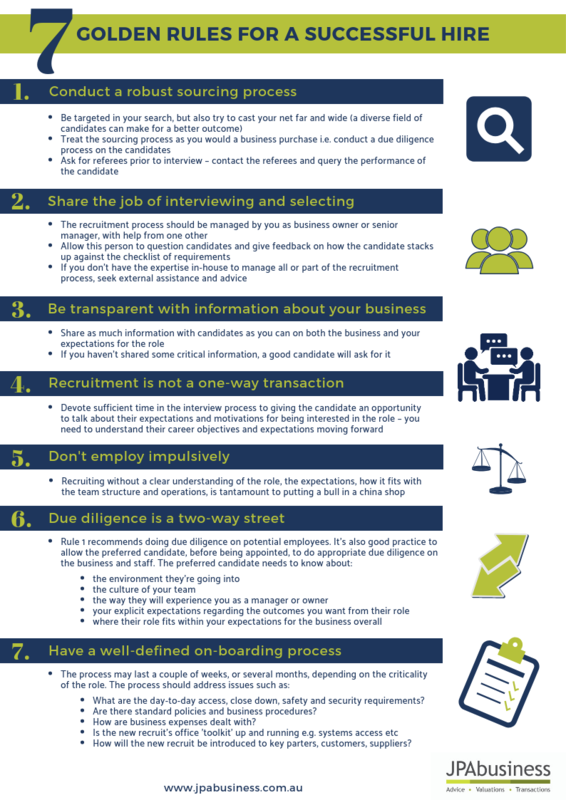 We created the following cheat sheet to help manage this stage of the recruitment process. If you would like advice regarding hiring and managing staff, contact the team at JPAbusiness on 02 6360 0360 for a confidential, obligation-free discussion.